The Platinum Fashion Mall 1.2 กม. Big C ราชดำริ 1.6 กม. เทสโก้ โลตัส พระราม 1 1.2 กม. Land for sale on the beach in Phangpling beach, Tambon Klai, Ampher Tha Sala, Nakhon Si Thammarat. The land is sold by the sea and all roads are 100/200/300/400 wah. Sell 12,000 per square wah only . T.Salala district, Nakhon Si Thammarat. 1. Very good location on every road. In front of the sea project And behind the paved road project. 2. The land is beautiful to build a house on the plot of land every plot. 3. Electricity supply through the land. The next is a resort. 4. The airport is only 20-25 minutes away and the shopping mall and medical center of Walailak University, Nakhon Si Thammarat. 5. Near pink dolphin area. Buy to build a vacation home. Or buy speculation. Land for sale, house, condo and all types of real estate in Bangkok and suburbs. Consulting Services And loan service. To increase liquidity and investment for individuals and businesses. Condo for sale, ​​Whizdom Avenue Ratchada - Ladprao 1 bedroom 35 sqm. - Whizdom Avenue Condo This high floor unit has no view of the building. And the south wind. - MRT Ladprao attached to the yellow line. Duplex Penthouse: 81.35 - 82.39 sq.m. Total area is 3-0-44 rai. Total parking is 244 units, accounting for 49% (including parking for 60%). Buses pass through 8, 8, 44, 92, 96, 122, 145, 145, 502, 517 and 545 buses. Location Lat Phrao Road, Chomphon, Chatuchak, Bangkok. Average price per square meter 150,000 Baht / sq.m. Monthly fee is 60 baht / sq.m. - Grand Lobby 7 meters high on the 1st floor. - Outdoor swimming pool The library on the fifth floor. - Energy and Environment Gold conservation of more than 40% green area, including energy and water conservation. The design and opening of the door to the door to help ventilate. - Universal Design is designed to work equally well, such as the design of the slope floor slipper floor. The elevator button has a Bell font. Suan Lum Night Bazaar At the intersection Ratchada - Ladprao 150 meters. Parking lot At Ratchada-Ladprao intersection 280 meters. Department of Export Promotion 1.4 km. 1 Bedroom : 30.00-38.00 ตร.ม. 2 Bedrooms : 47.00-56.00 ตร.ม. Duplex Penthouse : 81.35 – 82.39 ตร.ม. ที่ตั้ง	ถนนลาดพร้าว แขวงจอมพล เขตจตุจักร กทม. ราคาเฉลี่ยต่อ ตร.ม	150,000 บาท/ ตร.ม. - Baan Manthana Ring Road Pinklao The area is 84.3 sq.m. It has 3 bedrooms and a living room which is very spacious, with kitchen and terrace. The garden is perfect for family members to work together at home. - Manathai Ring Road Pinklao has a large communal swimming pool, lake, playground, tennis court and house near the central park of the project. - Baan Manthana Ring Road Pinklao is a second-hand house that sells a single-detached house market. The 80,000 baht per square wah makes you profit from the purchase. - Casa Ville Watcharaphon village, you will have a neighbor as a doctor, actor, businessman, a leading private company. You have a quality society. Land & House Land & House guarantees a real working area, a gymnasium, a courtyard, a club, a swimming pool, a fitness room, a tennis court and a lake. - The front of the house faces north, winds are good and not sunny all year round. - Install water pump water tank. - 1st floor is tiled floor and 2nd floor Parquet floor is in good condition. - Roof Wash Zone And set up kitchen counter to prepare food. The kitchen has 2 large rooms to facilitate the preparation of food. - The project is located on the main road, namely, Kanchanapisek Road, Wat Phra Phraya Road. - The project has been properly licensed, totaling over 500 projects. - Facilities: 6 meter wide project road, large park with jogging track. Multi-purpose room, playground, multi-purpose yard, lake, tennis court, gym, swimming pool, 24 hours security. - The house is located near convenience store 7-11. - The house is only 500 meters away from the road, the project is 1.5 km away from the main road. - Motorbike hire near the project. - Near the bus stop. Selling only 5,380,000 only !!! RENTคอนโด เบล แกรนด์ พระราม 9มี 2 ห้องนอน 2 ห้องน้ำ ขนาด 95 ตร.ม. ใกล้รถไฟฟ้า MRT พระราม9 0.5 กม. - Key card access to the building. @@ Price only 7,800,000 million only !! Land for sale with a team of professionals selling fast. Need to Vinvestor Co., Ltd.
เนื้อที่ทั้งหมด: 7 ไร่ 25.00 ตร.ว. @@ ราคาขายเพียง 7,800,000 ล้านบาท เท่านั้น !! 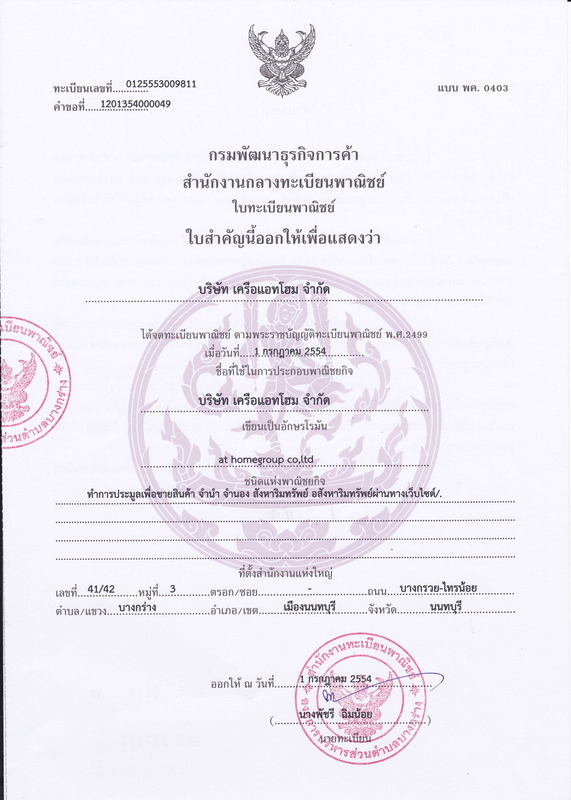 ที่ตั้ง	ถนนศรีอยุธยา แขวงพญาไท เขตราชเทวี กทม. ลักษณะห้องและขนาดห้อง 2 Bed Elete Suite : 94.0 ตร.ม. – ค่ากองทุน 480 บาท/ ตร.ม. – รถไฟฟ้า BTS พญาไท 650 ม. – รถไฟฟ้า Airport Link ราชปรารภ 450 ม. แยกห้องนั่งเล่น ห้องครัว มี 1 ห้องนอน พร้อมมุมรับประทานอาหารชมวิวเมืองบรรยากาศสดชื่นยามเช้า. เทสโก้โลตัส สุขุมวิท 50 (อ่อนนุช) ระยะทาง 1 กม. ซีคอนสแควร์ (เทสโก้โลตัส) ระยะทาง 6 กม. ตลาดนัดรถไฟ ศรีนครินทร์ ระยะทาง 6.5 กม. พาราไดซ์พาร์ค ศรีนครินทร์ ระยะทาง 5.5 กม. สวนหลวง ร.9 ระยะทาง 9.5 กม. - ตลาดซอยอารีย์ : 200 ม. - La Villa อารีย์ : 300 ม. - Pear Tower : 600 ม. - Aqua : 1.5 ม. - ตลาด อตก. : 2.4 กม. - Big C สะพานควาย : 2.9 กม. - ตลาดนัดจตุจักร : 3.1 กม. - The Seasons : 3.2 กม. - รพ.พญาไท 2 : 2 กม.